Welcome to our first edition of Organic Minute. We’re still in the planning phase and working through the format but our intent is to provide a quick and easy way to keep you updated on the happenings in the Organic and Sustainable Living Worlds that are either helping or harming our ability to feed our family and friends the best tasting and most nutritious foods possible. Currently, the biggest threat to our ability to eat Organic foods is the GMO industry. The US government has approved some new GMO crops which are known to be susceptible to pollination and can have a major affect on current organic agriculture including agricultural crops that feeds organically raised animals such as Kentucky bluegrass. THIS THREAT IS REAL AND URGENT. Any action, in fighting this is welcome. If there are any topics you’d like to know more about, please let us know, we’re open to suggestions. The question asked is “Do you believe genetically modified foods should be labeled?” With 44,000 respondents so far, an overwhelming 96% support the labeling of GMO foods. The US government and Monsanto’s position has always been that the American public doesn’t care about GMO’s so why should they be labeled? This poll shows they are DEAD WRONG. 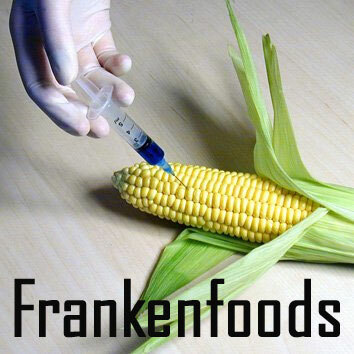 Monsanto has bowed to anti-GMO pressures in Europe where labeling is required on all products that contain GMO. The funny thing is, the makers of GMOs and food producers know that if they label foods as containing GMOs, people won’t buy them. That’s why all the food shipped by US companies like Kraft and Kellogs to Europe are GMO-free. So the good non-contaminated foods go to Europe while we, in North America, get to be unwitting participants in the GREAT GMO EXPERIMENT, that is until our voice gets as loud as Europe’s voice. It’s a small and quick thing to do – go to the MSNBC site and let your voice be heard and send the link to anyone you know who cares about the food they eat. The future of our food supply is at stake! As things now stand eating certified organic foods is the only way to ensure you’re not consuming GMO’s but the more GMO’s are approved, the greater the chances that Organic crops will be contaminated. For more information on the dangers of GMOs, please check the Institute for Responsible Technology at http://www.responsibletechnology.org and take part in one of their campaigns – it’s easy!